Matt Paxton & Cabell Hatchett are the #1 extreme cleaning specialists in the world. Their brutal honestly guides this show as they discuss life and highlight their mistakes that led them to cleaning up the messiest homes in America. Matt promises to entertain, offend and inspire in less than 1 hour. 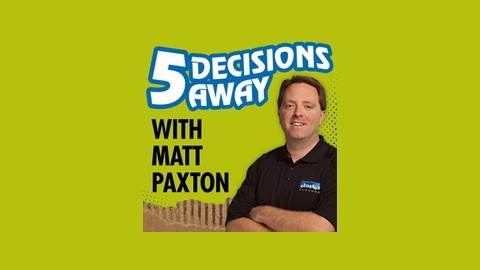 5 Decisions Away is about much more than just filthy living – it’s an honest, but humorous, look at how society can learn from failure and survival. 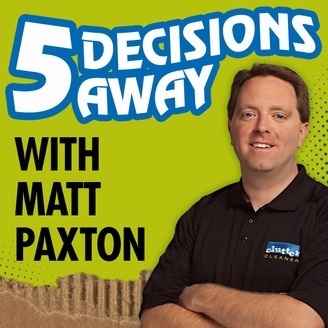 Joined by his Clutter Cleaner crew and special guests, Matt Paxton will leave you with something to talk about. NEW EPISODE. Matt and Cabell are back in the studio catching you up on all thing Clutter Cleaner. The boys share a few stories and laughs. Enjoy.